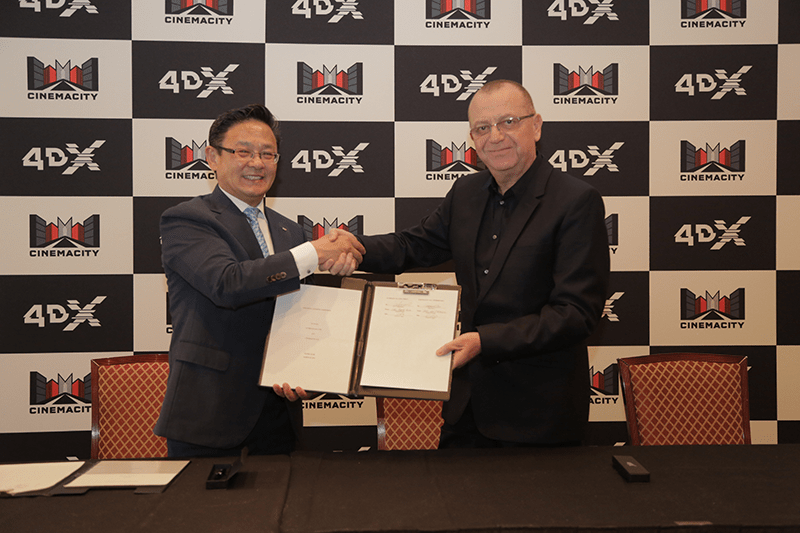 Los Angeles, USA April 25, 2018, Saudi Arabia, UAE/ — CJ 4DPLEX has succeeded in a new partnership with Cinemacity, the leading cinema exhibitor in Saudi Arabia, further extending the reach of 4DX in Middle East. Through this deal, three 4DX locations will open in the country’s capital city, Riyadh, and other major Saudi cities by the end of this year. Al Qasr Mall will be our first Multiplex in Riyadh, featuring 19 screens. It is expected to mark an average of 750,000 admissions during our first year of operation, catering to individuals from all walks of life that enjoy luxurious and quality entertainment.